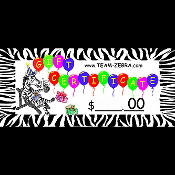 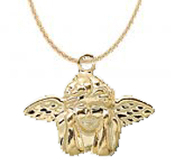 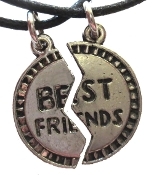 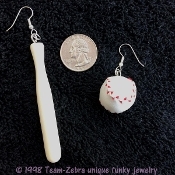 Team-Zebra Funky Jewelry >> SEE WHAT'S NEW!!! 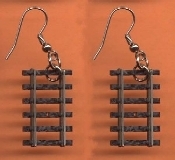 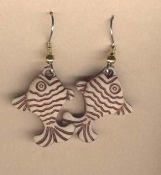 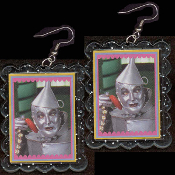 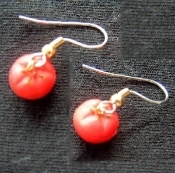 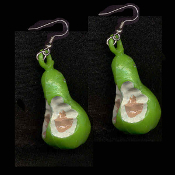 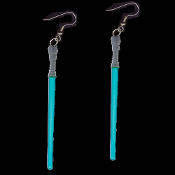 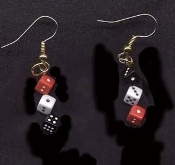 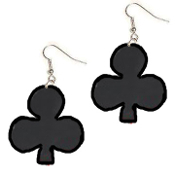 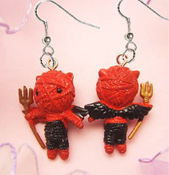 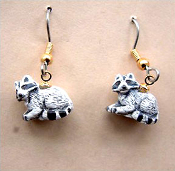 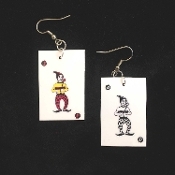 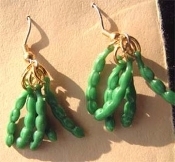 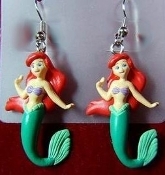 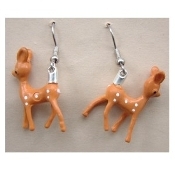 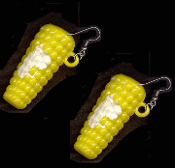 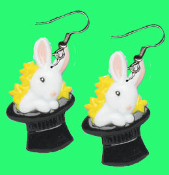 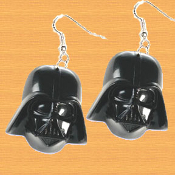 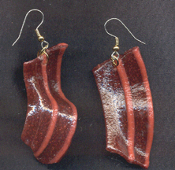 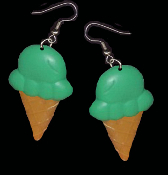 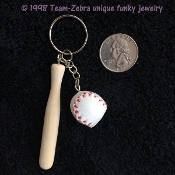 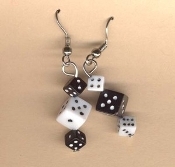 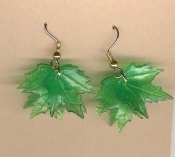 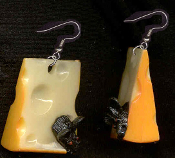 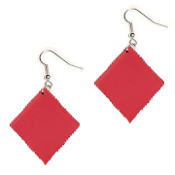 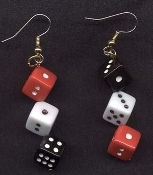 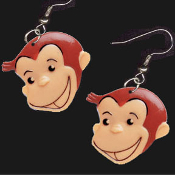 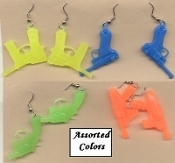 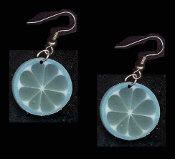 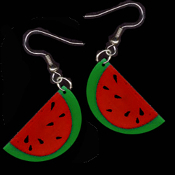 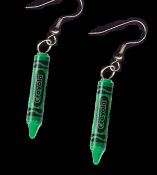 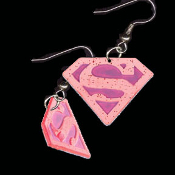 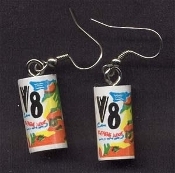 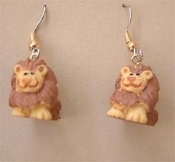 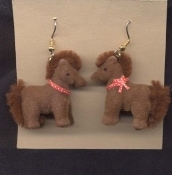 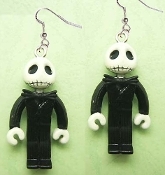 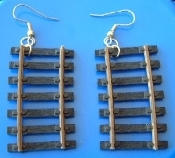 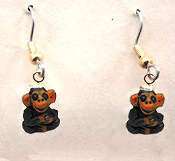 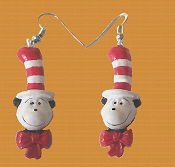 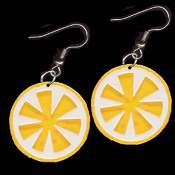 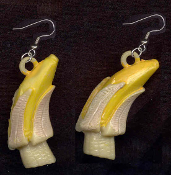 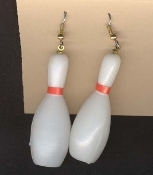 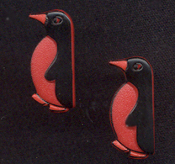 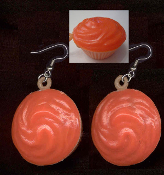 Look here for NEW, fabulously unique and different, fun and funky earrings and costume jewelry accessories... just added to Team-Zebra's store! 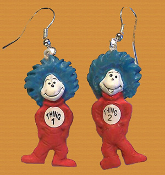 Always something fresh, lively, scathingly brilliant, unusual & amazing... Just like YOU!!! 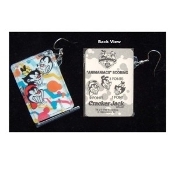 Huge Funky ANIMANIACS PINBALL GAME EARRINGS Novelty Character Costume Jewelry - DEELICIOUS – DELICIOUS - Real Mini Pin Ball Puzzle Collectible Toy. 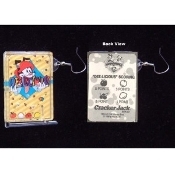 Genuine Circa 1996 Vintage Miniature Cracker Jack Prizes Plastic Charms Huge Funky ANIMANIACS PINBALL GAME EARRINGS Novelty Character Costume Jewelry - UNDERWATER OCEAN - Swimming Scuba Diver Snorkeler - Real Mini Pin Ball Puzzle Collectible Toy. 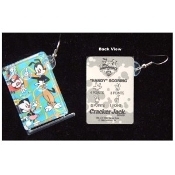 Genuine Circa 1996 Vintage Miniature Cracker Jack Prizes Plastic Charms. 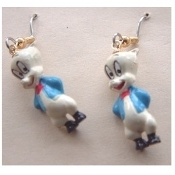 Huge Funky ANIMANIACS PINBALL GAME EARRINGS Novelty Character Costume Jewelry - TIME OUT Sports Team - Real Mini Pin Ball Puzzle Collectible Toy. 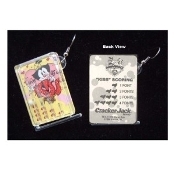 Genuine Circa 1996 Vintage Miniature Cracker Jack Prizes Plastic Charms. 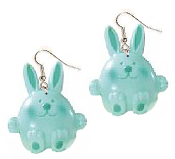 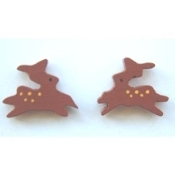 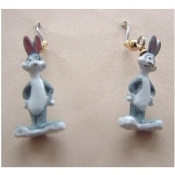 Funky Mini BUGS BUNNY SANTA CAP EARRINGS Christmas Wreath Holiday Novelty Costume Jewelry - Miniature Luney Toons Xmas button dangle ornament Huge Funky AQUA BLUE BUNNY EARRINGS - Cute RABBIT DANGLE Country Baby Farm Spring Garden Animal Toy Costume Jewelry - Big Easter Novelty Half-Dimensional Plastic Charm. 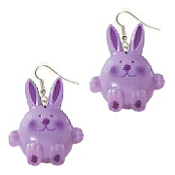 Huge Funky PINK BUNNY EARRINGS - Cute RABBIT DANGLE Country Baby Farm Spring Garden Animal Toy Costume Jewelry - Big Easter Novelty Half-Dimensional Plastic Charm. 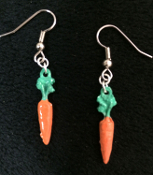 CARROT EARRINGS - Garden Farm Easter BUNNY Miniature Rabbit Jewelry - 2 'KARAT' Earrings Funky Miniature CARROT PENDANT NECKLACE and EARRINGS SET - Easter BUNNY Food Rabbit Farm Spring Garden Farmer Gift - 3- 'KARAT' colorful enameled pewter metal costume jewelry!!! 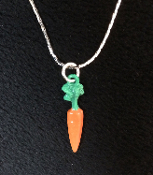 CARROT NECKLACE - Garden Spring BUNNY Miniature Rabbit Charm Jewelry - 1 'KARAT' Pendant!!! 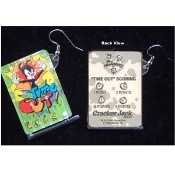 Funky Mini AWARD TROPHY LOVING CUP EARRINGS - 1st Place Winner - Team Sports Coach Gift Charms Novelty Costume Jewelry Funky Mini Figure BUGS BUNNY EARRINGS - Famous Looney Tunes Novelty Costume Jewelry - Favorite funny classic cartoon comics character animal theme dangle charm fully dimensional figurine. 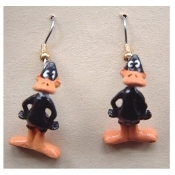 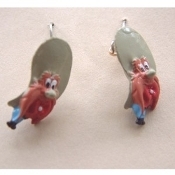 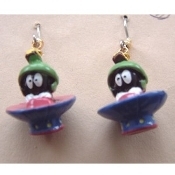 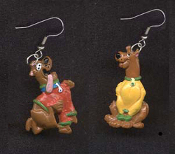 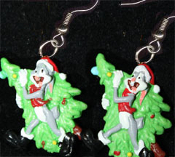 Funky Mini Figure DAFFY DUCK EARRINGS - Bugs Bunny Friend Looney Tunes Novelty Costume Jewelry - Favorite funny classic cartoon comics character animal theme dangle charm fully dimensional figurine. 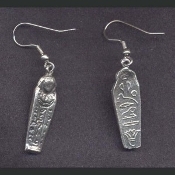 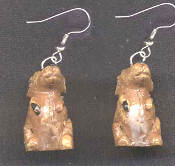 Funky MUMMY COFFIN EARRINGS - VINTAGE Sarcophagus Egyptian Tomb Egypt Novelty Pewter Charm Jewelry Funky Mini Figure PORKY PIG EARRINGS - Bugs Bunny Friend Looney Tunes Novelty Costume Jewelry - Favorite funny classic cartoon comics character animal theme dangle charm fully dimensional figurine. 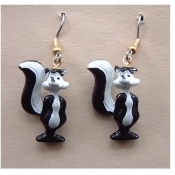 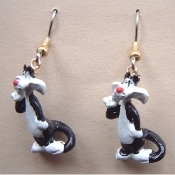 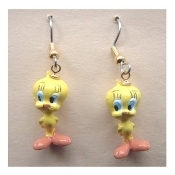 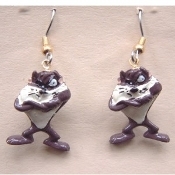 Funky Mini Figure SYLVESTER CAT EARRINGS - Tweety Bird Friend Looney Tunes Novelty Costume Jewelry - Favorite funny classic cartoon comics character animal theme dangle charm fully dimensional figurine. 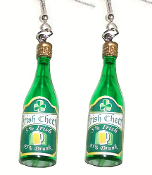 Irish Drunk - Miniature IRISH CHEER WHISKEY BEER BOTTLE EARRINGS - St. Patrick's Day Pub Bar Drink Novelty Costume Jewelry Funky Dimensional Miniature GIFT PACKAGE BUTTON POST EARRINGS - Christmas, Holiday, Birthday, Valentine's Day or Anniversary Present Novelty Theme Charm Costume Jewelry - Mini GREEN metallic foil gift Jingle Bell Bracelet with Glitter or Jewel-Tone Beads - Really Jingles! 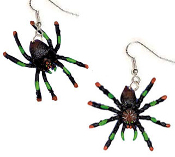 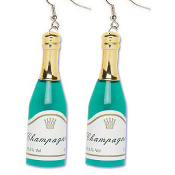 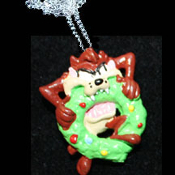 Funky Christmas Novelty Holiday Costume Jewelry. 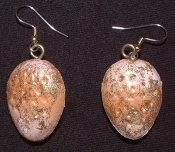 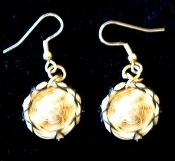 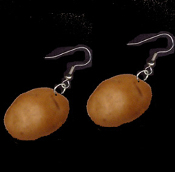 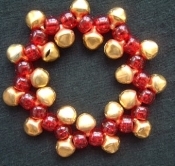 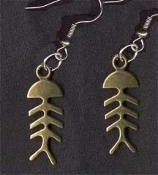 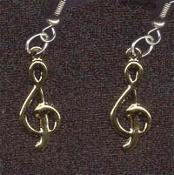 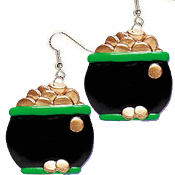 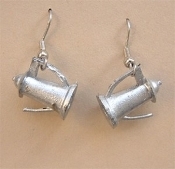 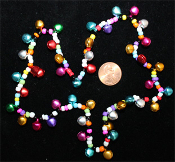 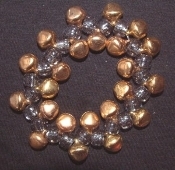 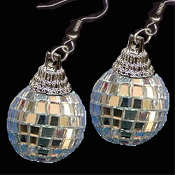 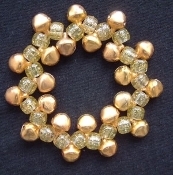 Over 20- GOLD or SILVER Color Jingle Bells. 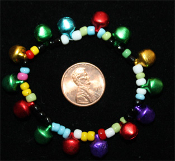 *Choose bead and bell color! 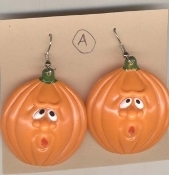 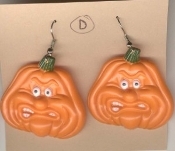 HUGE Funky Funny PUMPKIN JACK o LANTERN EARRINGS Spooky Oooooh Face Guy - Scary Fun Halloween Haunted House Novelty Charm Costume Jewelry HUGE Funky Creepy ANGRY PUMPKIN JACK o LANTERN EARRINGS Scary Grouchy Face Guy - Spooky Halloween Haunted House Novelty Charm Costume Jewelry Funky Mini Figure TWEETY BIRD EARRINGS - Sylvester Cat Friend Yellow Canary Looney Tunes Novelty Costume Jewelry - Favorite funny classic cartoon comics character animal theme dangle charm fully dimensional figurine. 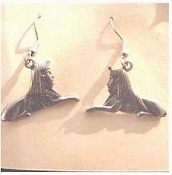 Funky SPHINX AMULET PENDANT NECKLACE - VINTAGE Sarcophagus Egyptian Tomb Egypt Pyramid Novelty Pewter Charm Jewelry Funky SPHINX EARRINGS - VINTAGE Sarcophagus Egyptian Tomb Egypt Pyramid Novelty Pewter Charm Jewelry Huge Funky VOLLEYBALL EARRINGS - Coach Referee Gift Lucky Team Sports Player Novelty Costume Jewelry. 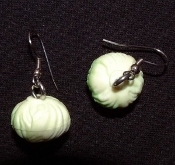 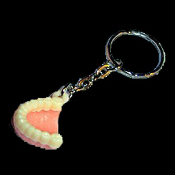 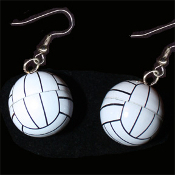 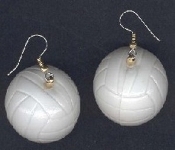 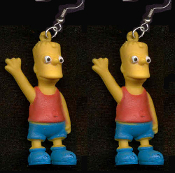 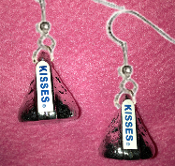 Extremely lightweight dimensional VOLLEY BALL charms. 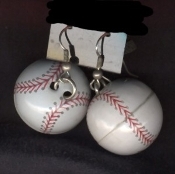 You can almost BUMP these! 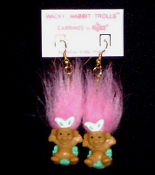 Mini collectible TROLL DOLL WACKY WABBIT Easter Bunny EARRINGS - Punk funky retro Russ Berrie little retired spring holiday novelty costume jewelry - PURPLE Hair WINE BOTTLE EARRINGS - Mini Winery Drink Jewelry Chef Charm Jewelry - Fashionably mismatched pair of Red and White Funky Mini Figure YOSEMITE SAM EARRINGS - Bugs Bunny Varmint Friend Famous Looney Tunes Novelty Costume Jewelry favorite funny classic cartoon comics character theme dangle charm fully dimensional figurine. 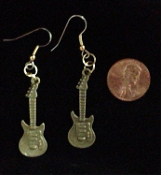 Funky Punk ELECTRIC GUITAR EARRINGS - Miniature Pewter Acoustic String Instrument Rock Band Musician Costume Jewelry - Gold-tone Bronze mini metal charms. 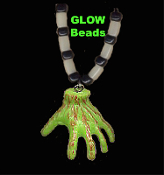 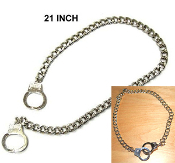 Great for ravers, rockers, bikers! 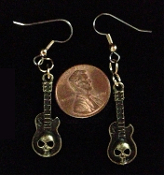 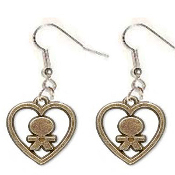 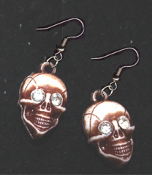 Funky Gothic Punk SKULL ELECTRIC GUITAR EARRINGS - Miniature Pewter Acoustic String Instrument Rock Band Musician Costume Jewelry - Gold-tone Bronze with dimensional SKULL design - mini metal charms. 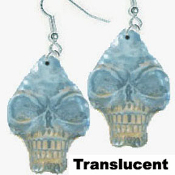 Great for ravers, rockers, bikers! 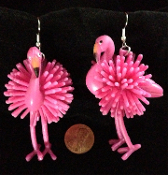 Funky Dangle FLAMINGO EARRINGS Tropical Bird Luau Beach Party Costume Jewelry. 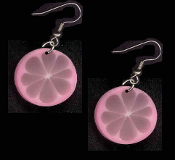 HUGE Bright Pink toy charms for a cruise, beach, a Luau, or summer backyard party. 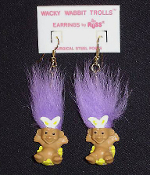 Cute quirky kawaii kitsch to wear with your Hawaiian grass hula skirt and coconut bra, while sipping a margarita. 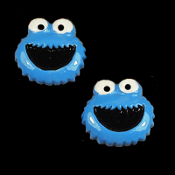 HUGE Resin COOKIE MONSTER BUTTON EARRINGS - Sesame Street 3-D TV Jewelry - Extra-Large Dimensional Post Stud Charms, each approx. 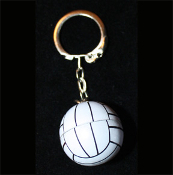 1-inch diameter. 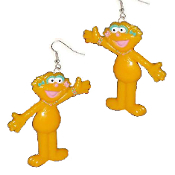 Fun for any Muppets fan... Great teacher gift! 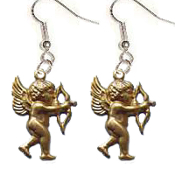 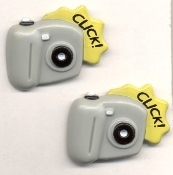 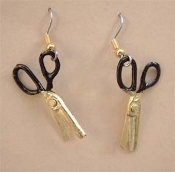 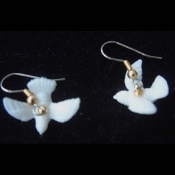 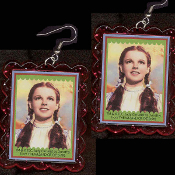 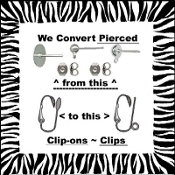 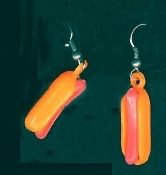 CLIP-ON EARRINGS Converters-Permanent Conversion Service-We Turn YOUR Buttons, Charms, Flatbacks, permanently to PIERCED or CLIPS. 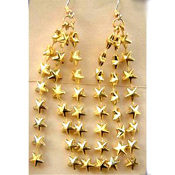 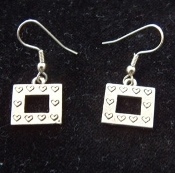 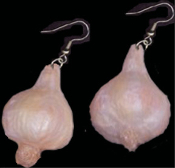 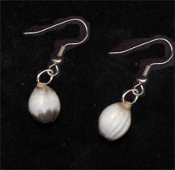 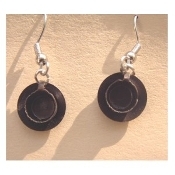 Mail your earrings to us to switch to your preferred style! 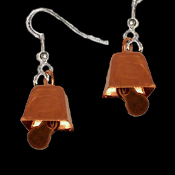 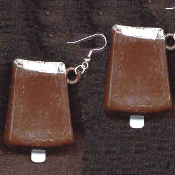 COWBELL EARRINGS - Mini Bovine Dairy Farm Moo-Juice Milk Farmer Costume Jewelry - Realistic Copper color miniature cow bells. 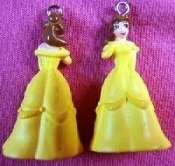 Mini DISNEY PRINCESS EARRINGS - Beauty and The Beast - Animated Movie Cartoon Jewelry - BELLE - Miniature 3-dimensional costume jewelry plastic toy charms ornaments, each approx. 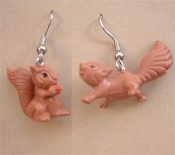 1- 3/8-inch tall. 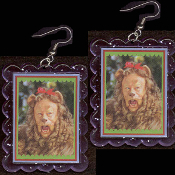 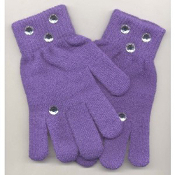 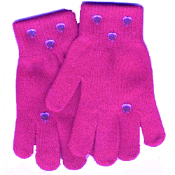 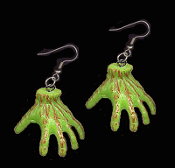 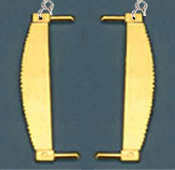 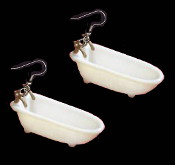 Even the Beast would be calm if he saw you wearing these! 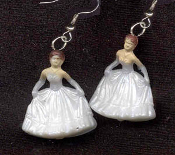 Mini DISNEY PRINCESS EARRINGS - CINDERELLA - Animated Movie Cartoon Jewelry - Classic Miniature 3-dimensional costume jewelry plastic toy charms ornaments, each approx. 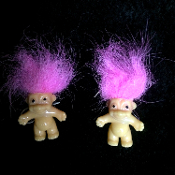 1- 3/8-inch tall. 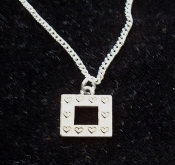 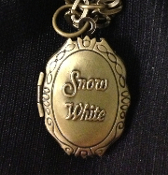 Great gift for anyone waiting for Prince Charming! 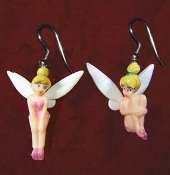 Cute dimensional TINKERBELL FAIRY EARRINGS - Retro Disney animated cartoon character doll PETER PAN HOOK movie fairies mini figure novelty costume jewelry - PINK - 3-D colorful plastic miniature toy charms. 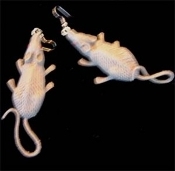 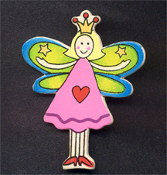 Adorable collectible to amuse any fairytale or storybook fan! 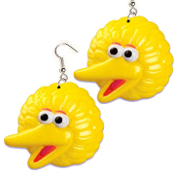 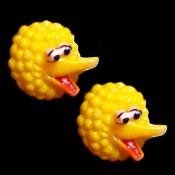 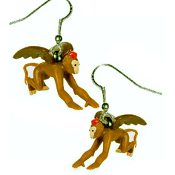 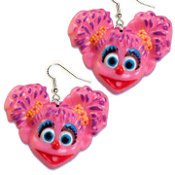 Huge Funky BIG BIRD EARRINGS - Sesame Street TV Costume Jewelry Big KING KONG EARRINGS - Jungle Movie Gorilla Sasquatch BigFoot Ape Movie Collectible Character Costume Jewelry Bite Me - Fang Banger - True Blood Drop VAMPIRE BLOOD DROP EARRINGS Gothic Costume Jewelry Charm Pierced Earrings. 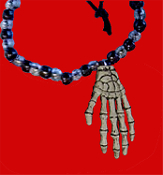 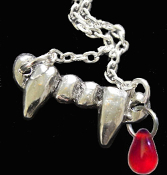 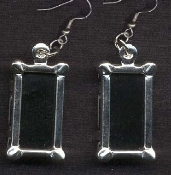 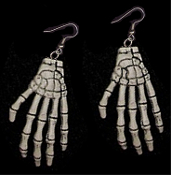 Perfect jewelry for any aspiring vampire! 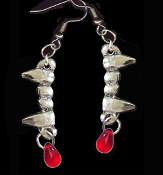 Funky Bite Me - Fang Banger - True Blood Drop VAMPIRE FANGS FALSE TEETH EARRINGS Gothic Costume Jewelry Silver-tone Pewter Fangs Charm Pierced Earrings. 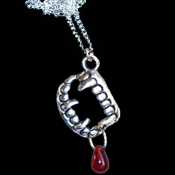 Perfect jewelry for any aspiring vampire! 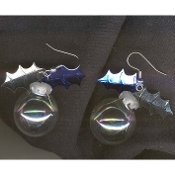 Bite Me - Fang Banger - True Blood Drop VAMPIRE FANGS EARRINGS Gothic Costume Jewelry Silver-tone Pewter Fangs Charm Pierced Earrings. 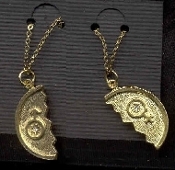 Perfect jewelry for any aspiring vampire! 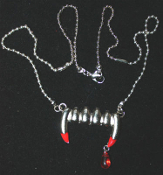 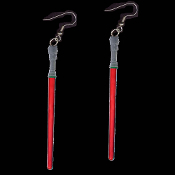 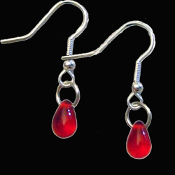 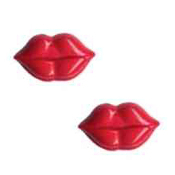 Add this fun costume jewelry accessory to your True Blood, Vampire Diaries, Twilight Eclipse New Moon party Funky Bite Me - Fang Banger - True Blood Drop Dracula VAMPIRE FANGS FALSE TEETH EARRINGS Gothic Costume Jewelry Silver-tone Pewter Fangs Charm Pierced Earrings. 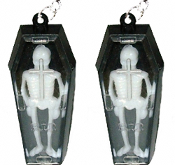 Perfect jewelry for any aspiring vampire! 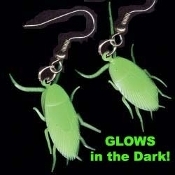 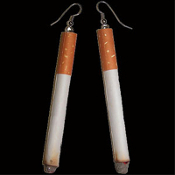 Funky Big CIGARETTE EARRINGS - Unique Realistic Toy Play Smoking Novelty Costume Jewelry HUGE Lucky Charm Black CLUB PLAYING CARD SUIT EARRINGS - BlackJack Poker Luck Jewelry Gross Glow-n-Dark COCKROACH EARRINGS - Halloween Roach - Gothic Insect Charm Bug Jewelry - Realistic, HUGE GiD COCKROACH. 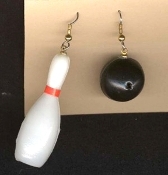 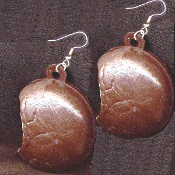 MOON PIE EARRINGS - HUGE Vintage Vending Funky Food Charm Jewelry Large TYRANNOSAURUS REX BUTTON EARRINGS - T-Rex Dinosaur Charm -BROWN HUGE Funky Genuine Mini DISCO MIRROR BALL EARRINGS - Novelty Dance Club Retro DJ Jewelry - BIG realistic punk EMO silver mirrored GLASS sphere dimensional charm, approx. 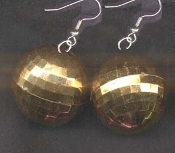 1-inch (2.5cm) diameter balls. 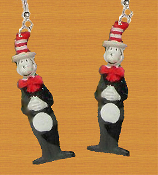 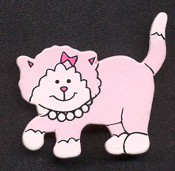 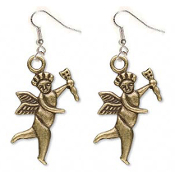 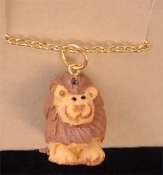 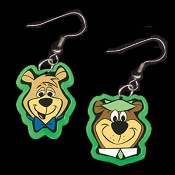 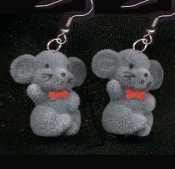 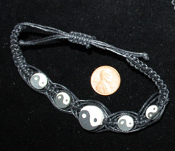 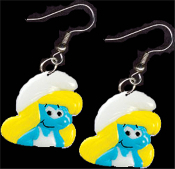 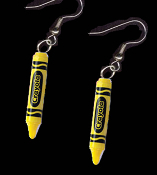 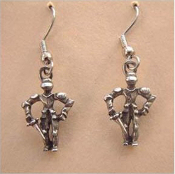 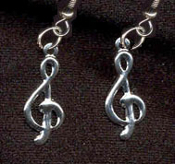 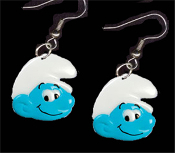 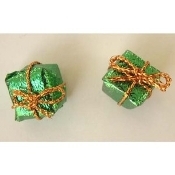 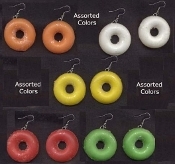 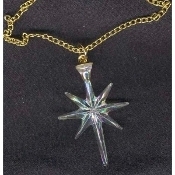 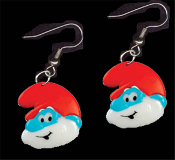 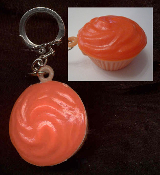 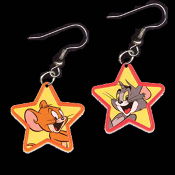 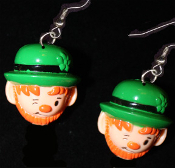 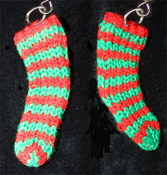 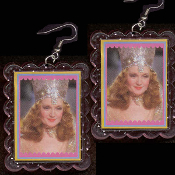 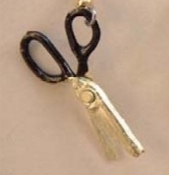 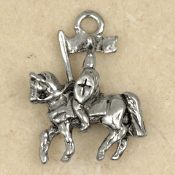 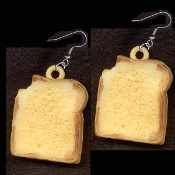 1.5-inch (4cm) tall charm total length including metallic plastic Fancy Bead Cap. 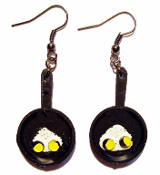 Vintage Mini Black FRYING PAN SKILLET EARRINGS with Sunnyside-Up Fried Eggs - Cooking Chef Miniature Kitchen Restaurant Charm Jewelry Punk Pimp Halloween Costume Novelty WHO'S YOUR SUGAR DADDY SOCKS Women's Size 9-11 (Shoe 4-10) Funky Big Dapper Dancing GLOW SKELETON TORSO EARRINGS - Formal dress complete with top hats and ties. 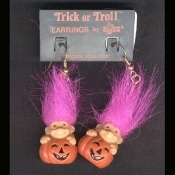 Ready for any punk Halloween costume party, Mardi Gras or dance club masquerade! 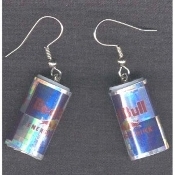 *Needs no batteries. 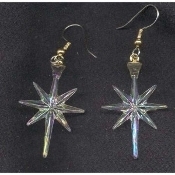 Charges in Bright Light! 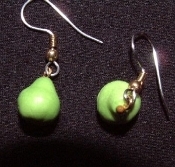 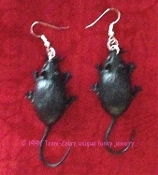 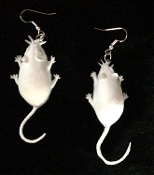 FUZZY GRAY MOUSE EARRINGS - 3-D Baby Mice Cat Animal Charm Jewelry Funky Collectible Flocked HELLO KITTY FUZZY TIGER EARRINGS - Cat DIY Jewelry Huge Funky Realistic FUZZY PEACH EARRINGS - Big Fruity Novelty Fun Food Costume Jewelry - Real look and feel! 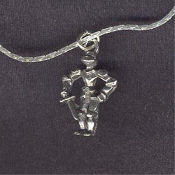 KNIGHT in Shining Armour NECKLACE - Medieval Prince Renaissance Castle Charm Jewelry KNIGHT in Shining Armor EARRINGS - Medieval Prince Renaissance Castle Jewelry KNIGHT in Shining Armor Riding Horse NECKLACE - Vintage Medieval Prince Renaissance Castle Charm Jewelry - Choose neck chain or cord! 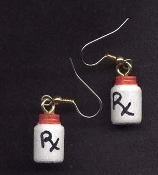 RX MEDICINE PILL PRESCRIPTION BOTTLE EARRINGS - Doctor Nurse HHA CNA Over-the-Hill Novelty Jewelry Miniature TEAK WOOD MICE EARRINGS - Mouse Kitty Cat Charm Jewelry Cute Miniature MOUSE and TRAP WOOD POST STUD FUNKY EARRINGS - Rodent Animal Charm Costume Jewelry SET - Mini Retro Country Blue Painted Wood Mice with faux leather tail and ears. 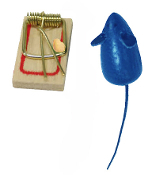 Tiny Trap with cheese wedge. 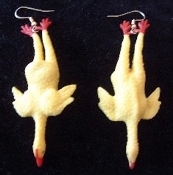 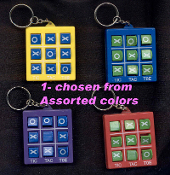 Huge RUBBER CHICKENS EARRINGS - Funky Svenghouli Toy Weird Gag Gift Jewelry SUDOKU CUBE MONSTER PUZZLE GAME KEYCHAIN - HUGE Rubiks Toy Jewelry - Really Works! 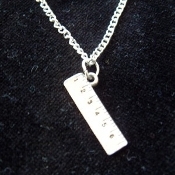 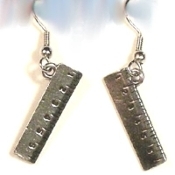 Funky Mini Pewter RULER EARRINGS - Tibetan silver-tone novelty charm costume jewelry for School Teacher, Principal, Secretary or Student. 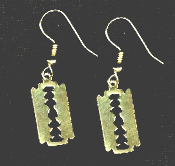 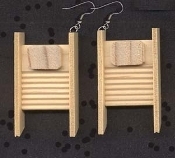 HUGE Funky Miniature Wood WASHBOARD EARRINGS - Mini Vintage-style Laundry Day House Cleaning Maid Mom Novelty Costume Jewelry Novelty Charm WATERMELON SLICE EARRINGS - Picnic Fruit Jewelry Funky WEREWOLF HOWLING WOLF EARRINGS - Gothic Tibetan Silver Pewter Wolves Charm. 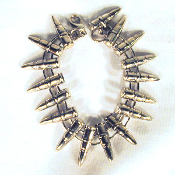 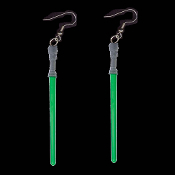 Perfect for any aspiring lycanthrope, vampire enemy or supernatural hunter.